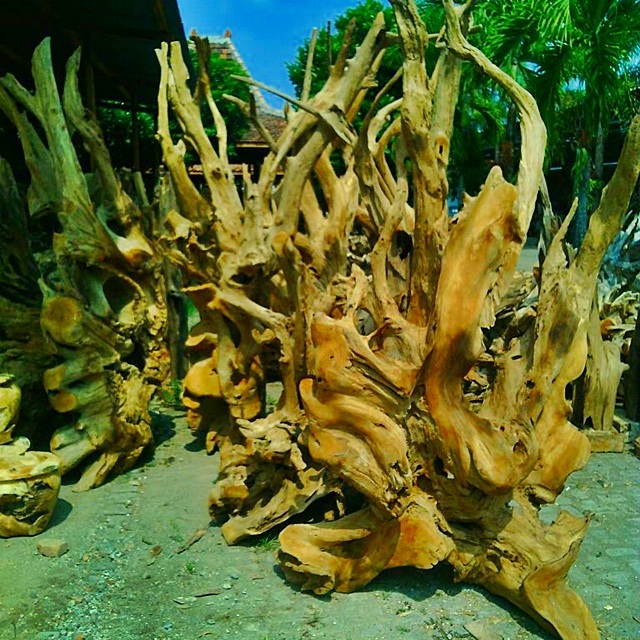 We have a lot of item and design of teak root stand. Teak Wood, suar wood and lychee wood is a natural material that can be easily cut and shaped which gives you the chance to make all types of tables. For instance, you can make some shape of wood logs, or maybe create some interesting shape out of wood slices.